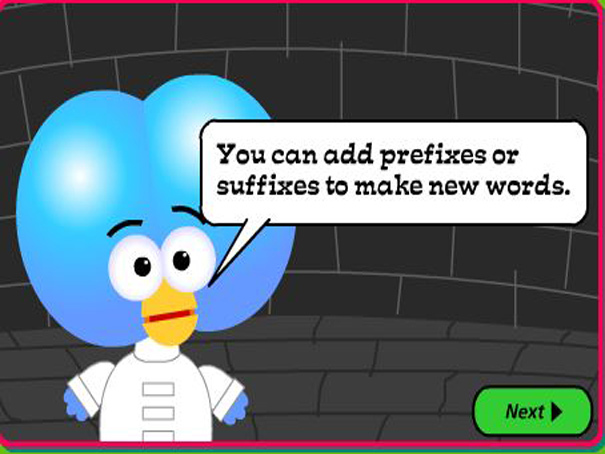 A fun game from the BBC to help you learn to use prefixes and suffixes correctly. Watch the examples then type in the correct new word, by either adding a prefix or suffix. Remember when you add a suffix you often have to change the spelling of the word. If you need help, just click on the Dictionary. Brain will also give you advice as you go along!